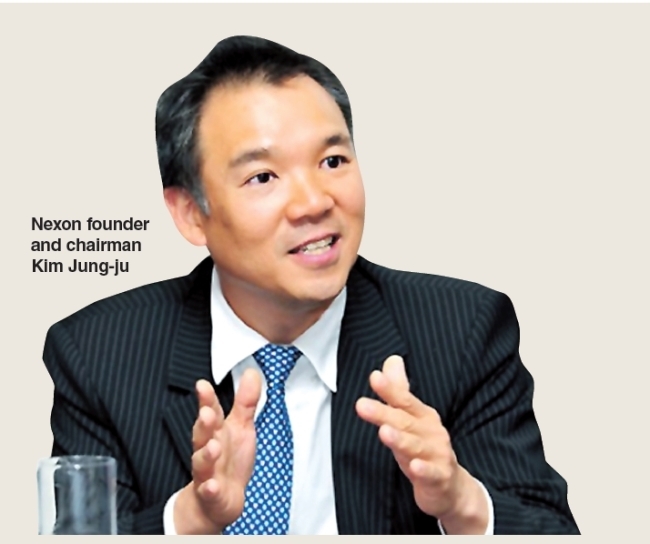 Nexon founder and chairman Kim Jung-ju is not only the front-runner in Korea’s gaming industry, but is also considered a genius for spreading his influence through strategic acquisitions and investments. His companies of choice for investment aren’t limited to gaming companies, and he has either acquired firms or invested in various fields. In 2013, Kim acquired an American online Lego marketplace Bricklink through his investment affiliate NXMH and acquired Norwegian company Stokke, which sells baby products. He also invested 100 billion won ($85 million) in Korean social commerce company Wemakeprice in August last year. Kim is better known as an angel investor overseas. He has been participating as a partner at American venture firm Collaborative Funds, which amassed $33 million from closing its second fund and is currently backing a number of start-ups. As an angel investor, Kim has invested in a total of eight start-ups since 2013. In December 2013 he and a team of investors invested $12.5 million in Moon Express, a California-based private moon exploration enterprise founded in 2010. A few months later, Moon Express was selected as one of the three companies to work with NASA for the “Lunar CATALYST” project, which aims to develop a spacecraft that can land on the moon for further research. In March 2014, Kim invested $1 million in LitMotors along with Zynga cofounder Mark Pincus. The electric car start-up based in San Francisco is developing a two-wheeled electric car called C-1. Kim also invested $30 million with others in crowdfunding site CircleUp in November, which specializes in consumer goods and connects start-ups with venture firms. Of the many emerging businesses, Kim is also highly interested in the food industry, investing in four different next-generation food companies in the last two years. In September 2014, he invested $1.2 million along with other investors in American food start-up Exo, which produces protein bars made of crickets. Crickets, which are high in protein and produce less greenhouse gas than red meat, are emerging as a food solution for the future amid worries of global warming and food shortages. He has decided to invest in this area as he saw the potential and increasing number of food products made of insects in environmentally friendly companies overseas. In June last year, Kim also invested in a company called Mark One, which developed a cup called “Vessyl” that identifies the drinks in the cup and tracks nutrients.